Preparing and understanding financial statements for a small business. Do you prepare financial statements for your small business? What do you do with them after you prepare and print them out? Are they stuck in a file never to see the light of day again? and understanding basic accounting concepts. Now we are going to collect that information we have been recording in our accounting records and put it in “report” form. Then we can take that information and analyze it to see how our business has been doing and what direction it is headed. The financial statements for a small business are the maps of your business. They show where you have been, where you are right now, and where you are going. There are three main reports that make up financial statements for a small business. The income statement shows where you have been, the balance sheet shows where you are now, and the cash flow statement shows if you got the money to go where you need and want to go. You get an unbelievable offer to buy your business…but they want to see your financial statements for the last 5 years. You find a piece of equipment at a ridiculously low price that you just have to have, but your banker wants your financial statements for the last 3 years first. You found a supplier that is going to be able to provide you with better materials at a cheaper price, but he wants to see a copy of your financial statements first. Your brother-in-law just won the lottery and wants to invest in your business, but his financial adviser wants to see your financial records first. Financial statements for a small business are important! Ok now that I have emphasized the importance of financial statements; let’s take a closer look at the 3 reports that make up financial statements for a small business. We will start with the Balance Sheet. It is what most investors, bankers, suppliers, etc. will look at and analyze to determine if they want to do business with you. The balance sheet can also give you some valuable information about your business because it is a snapshot of your company’s worth. Read this page to see a sample of a Balance Sheet and to better understand what an accounting balance sheet is and what it consist of. The balance sheet shows the financial position of the firm at a point in time. The left side of the balance sheet (called the debit side) shows the resources of the company (assets), whereas on the right side (or, credit side), it shows how these resources have been funded. By definition, the funding is either by the owners (equity) or by others (liabilities). Asset: economic resources (with future value), or, things worth money. Liability: an obligation resulting from a past transaction to pay money, render services, or deliver goods. Equity: funding by the owners, or ‘residual claim’ (to the assets), which always equals total assets minus total liabilities. The assets of the fictitous company ABCD Inc. (which is also used later) on January 31st, 20X0 consist of cash and equipment, 41,500 in total. This amount has been funded with 400 liabilities, and 41,100 equity. The equity consists of 40,000 paid-in capital, which is the amount of money raised by issuing shares. Retained earnings of 1,100 is the total of profits that have not (yet) been paid out as dividend. separately. Instead, these items are added and labeled ‘capital’. Liabilities and equity are a means to attract capital for funding of assets. More debt or equity means that the firm can buy more assets. Conversely, paying accounts payable, repaying a loan, buying back shares or paying out a dividend decreases the assets. The optimal amount of debt and equity, as well as the optimal mix between the two is outside the domain of financial accounting. performance is measured over a period. The income statement and the cash flow statement are used for this purpose (discussed later). The accounting equation (Assets = Liabilities + Equity) tells us that the balance sheet is balanced by definition, as all assets will be financed either by the owners themselves (equity) or by other people (liabilities). the fundamental equation in accounting that total debits should equal total credits at all times. It is important to know that the accounting process is governed by accounting principles that sometimes are very binding and sometimes provide some flexibility. Well known principles include International Financial Reporting Standards (IFRS) and U.S. GAAP (Generally Accepted Accounting Principles). Sometimes economic assets are not allowed to be recognized as accounting assets by accounting principles. In other words: some assets may not be on the balance sheet. This generally is the case when it is difficult to determine the value of the asset. In general, application of accounting principles results in the situation where the book value of assets (and equity) is below the market value of assets (and equity), since book assets are usually understated. This difference is expressed by the market-to-book ratio (dividing the market value of equity by the book value of equity). The method to record transactions described in this section is based on the accounting equation. Hence, it only keeps track of items on the balance sheet. This method is extended in the next lesson double entry bookkeeping, where also changes over time are recorded. The accounting equation refers to the balance sheet, where assets are shown on the debit side and the funding (liabilities and equity) on the credit side. If the accounting equation holds for the balance sheet at a point in time, it must hold for the beginning of period balance sheet as well as the end of period balance sheet. ΔAssets = ΔLiabilities + ΔEquity. Example transactions for newly incorporated firm ABCD Inc. which offers services for garden design and landscaping. For each transaction the accounting equation is shown. Jan 1: The firm is incorporated on the 1st of January, 20X0. The owner, Betty, pays 40,000 cash for 10,000 shares. Following the accounting equation, cash (an asset) will increase by 40,000, as well as paid in capital (equity) increases by 40,000. Jan 2: ABCD Inc. buys a Grasshopper lawn mower for 8,000 cash. Cash (assets) decreases with 8,000, while equipment (assets) increases by the same amount. The net change in assets is therefore 0. Jan 10: ABCD Inc. pays 500 cash for advertising in the local newspaper. Cash (an asset) will decreases with 500, and retained earnings (equity) decreases with 500. Jan 15: ABCD Inc receives 3,000 cash for services delivered in January. Cash (an asset) and retained earnings (equity) increase with 3,000. Jan 26: ABCD joins the Association of Landscapers, and receives an invoice of 400 to be payable in February. Accounts payable (liability) increases with 400, and retained earnings (equity) decreases with 400. Jan 31: The company pays a 1,000 cash dividend. Cash (an asset) and retained earnings (equity) decreases with 1,000. 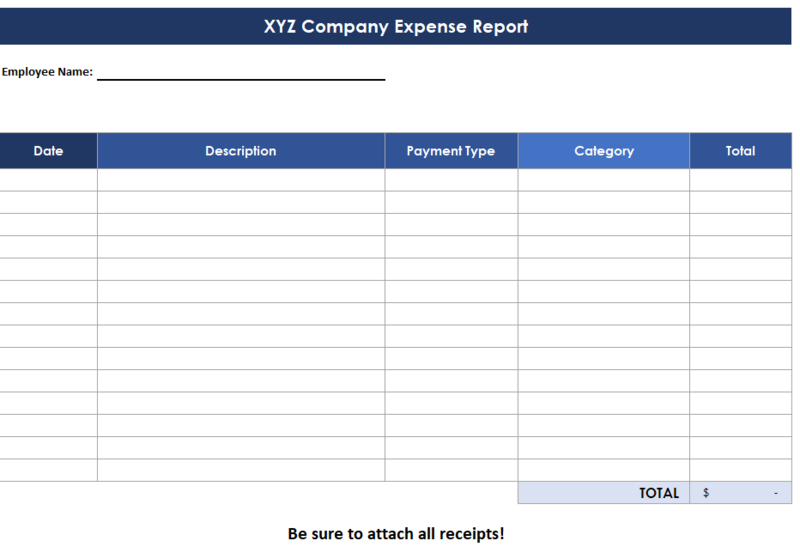 The transactions during an accounting period can be recorded in a worksheet, with columns for each balance sheet item (cash, equipment, etcetera). Each transaction is written in a row, with the increases/decreases added/subtracted in the columns of the affected balance sheet items. For each transaction, the accounting equation will hold: ΔAssets = ΔLiabilities + ΔEquity. The first row is the opening balance (in the worksheet below this row contains all zeros since in the example the company was newly incorporated). The last row, holding the column totals, contains the ending balance values. Note that at all times total assets equal total liabilities plus equity. Also, note that the example balance sheet shown earlier (section ‘The balance sheet’) is the ending balance sheet based on this worksheet. When the accounting equation is used to keep track of the balance sheet, the balance sheet can be constructed by adding the columns after each transaction. retained earnings and are not recorded separately. In the next lesson double entry bookkeeping, changes in retained earnings (expenses, revenues as well as dividends) are separately recorded. Next is the Profit and Loss Statement (also called an Income Statement). This report will show how your business did in a specified period of time. It will also show you how much money you spent on expenses and if and hopefully how much profit you made in that time frame. Read this page to see a sample of a Profit and Loss Statement and what this income statement consist of. (equity can also change for example as a result of issuing shares, repurchasing shares, and paying dividends). Hence, the income statement shows the performance of the firm over some period. In public financial reports, this period typically is a quarter or a year. Within the firm monthly reporting is common practice as well. The income statement is used to assess profitability, as the expenses for the period are deducted from the revenues. When net income is positive, it is a called profit. When negative, it is a loss. The income statement is sometimes called the profit and loss statement (or, ‘P&L’). 10, 15 and 26 January; the transaction on 31st of January is a dividend payment, which is not an expense). Naturally, for-profit firms will engage in activities to maximize net income. Net income increases when assets increase relative to liabilities (abstracting from cash transactions between the firm and the shareholders such as issuing new shares or paying a dividend). For example, a trading firm will try to exchange inventory for more than they have paid for. At the same time, other assets may decline in value (machines need repairs, wages need to be paid, etc) and liabilities may increase (interest expenses are incurred). Thus, the balance sheet has a direct relation with the income statement. It is important to realize that revenue and expenses are not (always) the same as cash inflows and outflows. For a given cash outflow, an expense can be recognized in a period prior to payment, the same period or a later period. The same idea holds for revenues and incoming cash flows. This is what accounting makes very flexible and at the same time it opens the door for manipulation of net income. Accounting principles provide guidance and rules on when to recognize revenue and expenses. Generally, accounting principles require that a company recognized revenue when it has delivered the goods/services to the customer, even if the customer has not paid yet. The technicalities of this relation as well as the timing differences between cash flows and revenues/expenses are discussed in accrual accounting. Last is the Statement of Cash Flow. It will show you and your investors the cash flowing in and out of your business. Most bankers and investors are going to want you to prepare one; however, if you have a very small business and none of your outside people are requesting it, you may not need to bother with the official formatted report until you get big enough for investors. The cash flow statement gives insight how cash has been generated and used over the period. The reader of an annual report can tell by comparing the end of year cash balance with the beginning of year cash balance what the change in cash over the year is. However, this information is not very revealing by itself. For example, a decline in the cash balance does not necessarily mean it was a ‘bad’ year. A decline in cash could be due to repaying a loan or investing in new assets. The cash flow statement shows the change in cash over the period as the sum of cash generated/used by three categories: cash from operating, investing and financing activities. Cash from operating activities shows how much cash has been generated by daily operations. It is equal to cash received from customers minus cash paid to suppliers, cash paid to employees, interest paid, and other operating items. A positive operating cash flow shows that the business has generated cash. A negative operating cash flow means that cash has been used during the period. Start-up companies usually have negative operating cash flows. Cash from operating activities shows the balance of cash that has been invested in long term assets and cash received from disinvestments (selling long term assets). Cash from financing activities shows the cash flows related to the financing of the companies. It equals the cash inflows for attracting funding by issuing shares or obtaining new loans and the cash outflows for repaying loans, paying out dividends, etcetera. The example cash flow statement below is based on the previous example. The entries in the column ‘cash’ in the worksheet (40,000, -8,000, -500, etcetera) are organized by type: operating, investing and financing cash flows. Since the corporation is newly incorporated, the beginning of period cash is zero. Hence, the change in cash equals the end of period’s cash balance. Note: For those who use the free spreadsheets from this site, I am in the process of building a new spreadsheet that will include a basic cash flow spreadsheet in it. See more details below. Read this page for examples of a Statement of Cash Flow and the two methods for preparing one. Now let’s briefly go over some things that you and your investors will look at in your financial statements for a small business. In most accounting software you can print out comparative financial statements which compare a specified period of time to a previous period…or just pull out last year’s or quarter’s financial statement and compare it to your current one. Are sales better or worse? Are costs more or less (compare each expense)? Is your cash flow improving? Do you have less sales than you predicted…if so why? Where any expenses greater than you predicted? Is there a way to lower them? Existing businesses can use their budgets to do this comparative analysis also. In the figure below the relations between the financial statements are shown for another fictitous company (the company used in the previous examples is not used as the company has no beginning balance). As mentioned above, the balance sheet shows the financial position at a point in time. It therefore cannot contain information that is related to some period, such as sales or wages expense. It is common practice to include a beginning of period balance sheet as well as an end of period balance sheet in a financial report. This way the reader can form an opinion about how the firm’s financial position has changed. The cash flow statement and the income statement both give information about the firm’s performance over the period, albeit from different angles. The cash flow statement explains the change in cash. In other words, it explains how the beginning of period cash has turned into the end of period cash by differentiating between operating, investing and financing activities. which gives guidance/rules on when to recognize revenues and expenses, whereas cash from operating activities, obviously, is cash based. As dividends do not reduce net income, the income statement does not always explain the change in retained earnings over the year. (Net income only equals the change in retained earnings when no dividend is paid out). The statement of retained earnings (or a similar statement) is included to show how equity has changed because of net income and possible dividend payments. It shows the beginning value of retained earnings, to which net income is added and dividends subtracted, resulting in end of year retained earnings. The statement of retained earnings shows how beginning of year retained earnings increases with net income and decreases with dividends, resulting in end of year retained earnings. Many bankers and investors will analyze your financial statements against others in your industry and their own set of standards. They make their comparisons by using some common financial ratios. So in conclusion, understanding financial statements for a small business is imperative to the success of your company. Prepare them, print them out, and study them. If you need help it would be worth your time and investment to take them to an accountant or financial adviser the first time. Remember the sky’s the limit when it comes to growing your business!